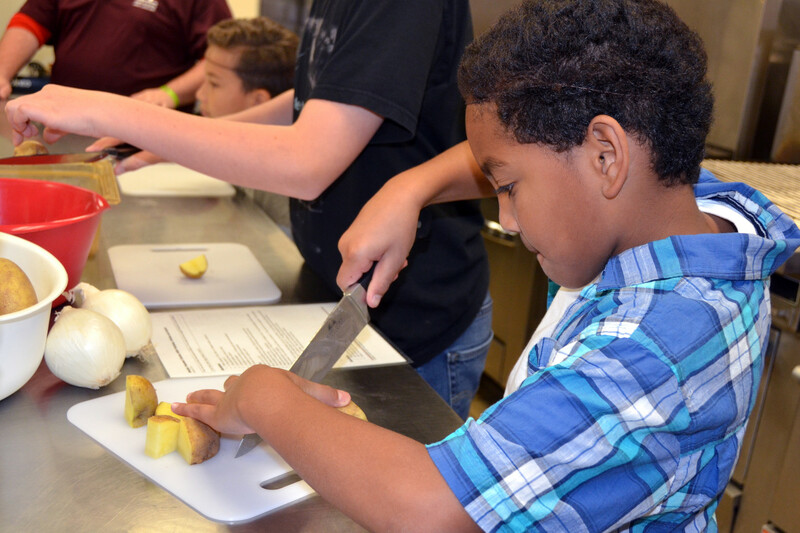 Dominique, a Healthy Cooking Camp for Kids participant, slices potatoes as part of a healthy cooking initiative by Air Force Services Activity Oct. 26, 2017, at Joint Base San Antonio-Lackland, Texas. The week-long camp is part of an Air Force-wide focus on childhood obesity prevention and healthy lifestyle activities, and includes training on basic nutrition and kitchen safety, including safe knife use. It’s pretty rare when you come to the intersection of mommy blogs and knife blogs, but that’s where we meet today. A woman who blogs and podcasts about parenting recently posted a video that has sparked conversation and even outrage among parents. And it’s something we’ve talked about on this very blog as well. Awesome!!! I love this from Kathleen:"I’ve been working on giving my 2.5 year old meaningful helper roles during our household tasks—not just to “occupy” him while I get things done, but ways he can really contribute—pairing socks, putting away the silverware, wiping the low surfaces in the kitchen with a rag, etc. Tonight he chopped all the cucumbers for the salad while I prepared the rest of dinner. Then he dressed and mixed it. I really enjoyed making dinner together tonight, and the pushed I’ve gotten around trust from this group have helped. Thank you!" A woman named Kathleen lets her two-and-a-half-year-old son help around the house in a serious way. In a video posted on Facebook, you see the little guy using a knife to cut up some cucumbers en route to making a salad. As the parent of a 3-year-old, I think this is awesome and so do many of the parents who follow the blog. Unfortunately, not all the followers agree. I think it’s great to teach kids life skills starting at a young age. A 2 1/2 year old cutting cucumbers with a sharp knife? Not so much. Why not let him cook on the stove as well? Smh. This isn’t the first time someone has sparked controversy over knives being used at younger ages. Back in 2014, Bear Grylls made some waves when he said he lets his 6-year-old son use sharp knives. 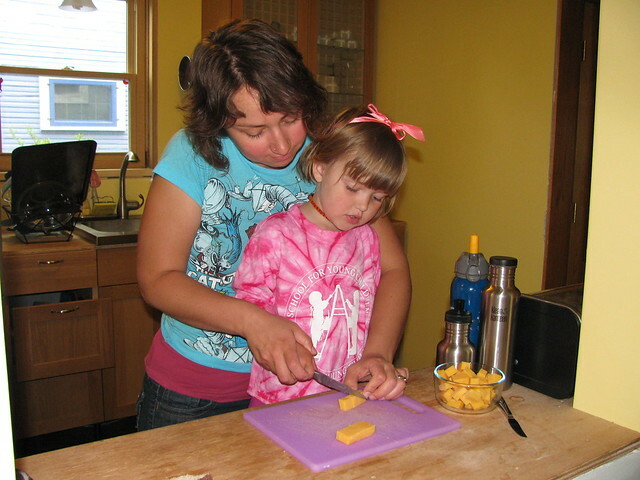 Other studies have revealed that children who use knives are more self-sufficient than those who are not exposed to knives or other riskier behaviors. The way I see it is that age really has nothing to do with whether a child should handle a knife. It all has to do with maturity and their propensity for responsibility. If you have an immature 6-year-old who fails to exhibit responsibility, they may have to wait longer to have a knife than a 4-year-old who is mature. That’s the approach I took in my article on 10 first knives to give to a kid. My kid cuts things with knives that are designed specifically for children and when he asks to use a knife to cut an apple, I don’t discourage it. I have also exposed him to pocket knives (for obvious reasons). As he gets older, I will have to determine when he should get his own pocket knife, but I believe it’s my own opinion based on my knowledge of him and his behavior. Do you think a child can be too young to use a knife? got my first real (22) GUN WHEN I WAS SIX. Yes, but when did you get your first knife is the real question! My children each got the first knife they could carry unsupervised at 13. That said, I started teaching them how to use knives safely when they expressed an interest (each was different). Cub scouts can carry one after they get their whittling badge (6 or 7?). Sounds like you did it the right way. That’s solid parenting. I see no problem at all with this. The parents and the boy need to be complimented. Those parents who are freaking out are not doing their children any favors. If this is an issue, then many of us have certainly become sheep. In watching the video, it is clear that the child has been given proper training on how to use a knife. And he is being supervised while he is using it. This is called parenting. We need more of it these days. If the child was handed a knife without any training and allowed to run around with it unsupervised, then it would be a whole different situation. It is a real shame that the adults who are freaking out about the video do not have the ability to recognize the difference in the two situations. Maybe the child in the video is more mature than the folks who are freaking out about seeing him learning to take care of himself with an important life skill.